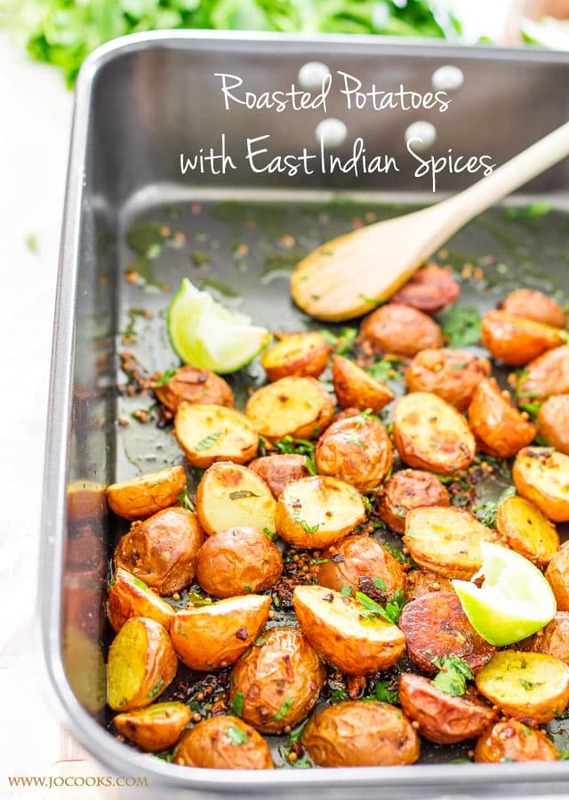 A super easy, fresh and delicious recipe for Roasted Potatoes with East Indian Spices. 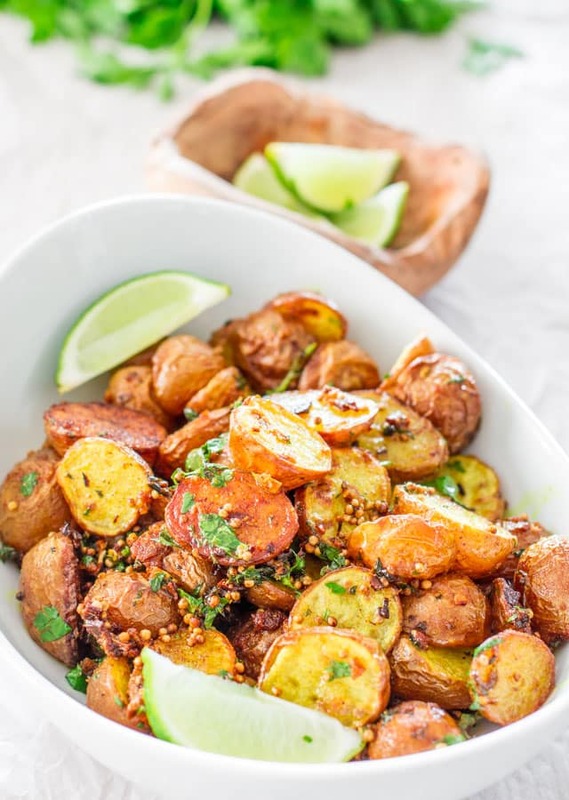 Indian spiced potatoes get a new flavor dimension with the addition of mint, cilantro and lime juice. Indian cuisine intrigues me. I think it’s more the spices than the actual food. So many different spices that as an Eastern European we never cook with. Luckily here in Calgary we can find all these wonderful spices and create these beautiful recipes so that we can expand our culinary horizons and enjoy foods from all over the world. I for one have never made roasted potatoes with mint, cilantro and lime juice. Probably if you would have told me to try this a couple years ago I’d probably give you a dirty look. But as I continue this culinary journey that I embarked on over 3 years ago, I learn to keep an open mind and to not be afraid to try different things. Don’t let the long list of spices scare you off. As a matter of fact I found all these spices in my regular grocery store, so there shouldn’t be anything weird here that you can’t find. 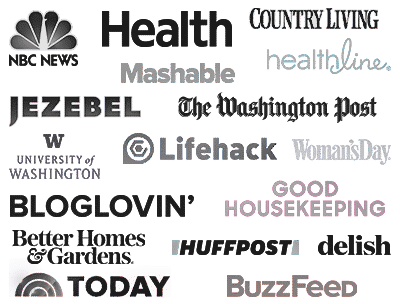 I’ve made roasted potatoes with garlic a lot in my lifetime, it’s a side dish that’s always been very common in our home. I’ve also experimented with different spices like cumin and turmeric on roasted potatoes and have always loved the results. However this recipes introduces a new dimension of flavor. 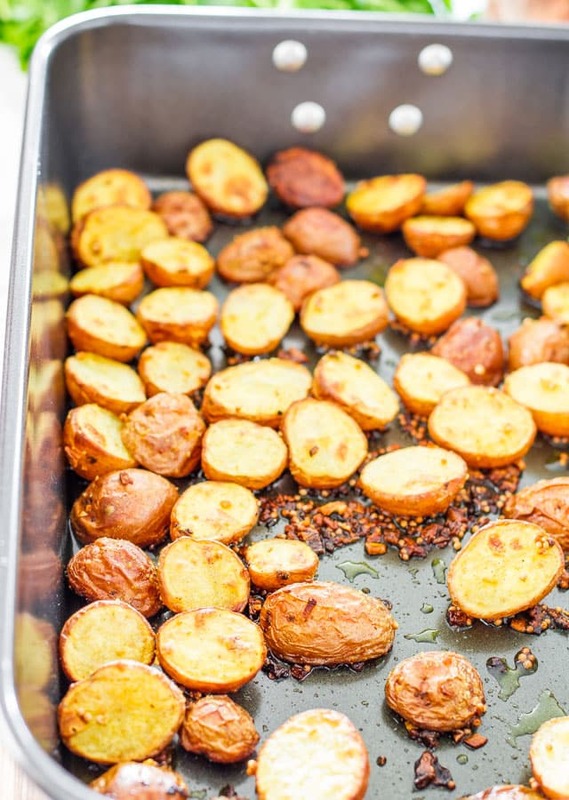 The spices themselves, the garam masala, mustard seeds and turmeric together with the jalapeno, ginger and garlic give you one amazing roasted potato recipe. 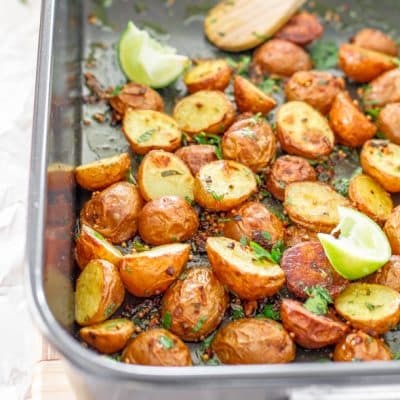 But as you add the fresh mint, cilantro and lime juice to the potatoes, you transform them into a unique yet spectacular roasted potato dish. They’re fresh and delicious, yet if you dare to go for a more fiery hot version, just add a tsp or so of ground cayenne pepper. Preheat oven to 400 F degrees. Coat a large baking dish, that's at least 9x13 inches with the cooking spray. Combine 1 tbsp of the olive oil with the potatoes and toss to coat; set aside. Heat remaining 1 tbsp olive oil, mustard seeds, chili pepper seeds in a small skillet over medium-high heat; cook about a minute until seeds begin to pop. Reduce heat to medium-low. Add ginger, garlic and jalapeno to skillet; cook about 1 minute, stirring constantly. Add in the salt, turmeric, garam masala and cook for another minute, stirring occasionally. Pour spice mixture over the potatoes and toss to coat. Arrange potatoes in a single layer in the prepared baking dish. Bake for 40 minutes or until potatoes are tender and browned. Stir in chopped cilantro and mint. Drizzle with lime juice. 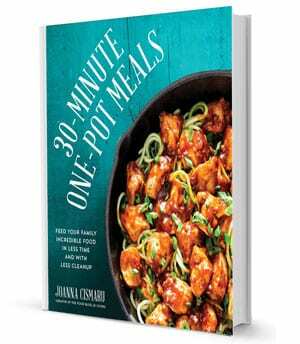 Love this recipe, tastes delicious. Top marks. Thanks Simon, glad you liked it! Great suggestion Farah, will have to try it.